Fez, the second-largest city in Morocco, was the capital city of the country until the year 1925. It has been listed as a UNESCO World Heritage Site and is home to the University of Al Quaraouiyine, the world's oldest continuously functioning university. The rich cultural heritage of this city has been well-preserved over the years. Even today the goods are transported using handcarts, donkeys, and mules in Fez. Fez is often referred to as the 'Athens of Africa' and its labyrinthine old medina quarter of Fes el-Bali is one of the largest car-free zones in the world. One of the popular dishes of Fez is Khli'i, which is prepared using a combination of beef ribs, coriander and a few other ingredients. The beef ribs are cut into thin pieces and mixed with the necessary spices and oil. The Fez holiday deals would allow you to save big on your travel costs and utilise the amount saved to relish Khli'i and other dishes in the city's popular restaurants. A few hours of ride from Fez would take you to Casablanca city, from where you can head north to get to Monica Beach. It is far less crowded and away from the hustle-bustle of the city. You can find plenty of rocks and powdery golden sands on the beach in addition to the clear waters of North Atlantic Ocean. If you wish to take a break from sightseeing and enjoy some moments of peace, this beach is the right one for you. 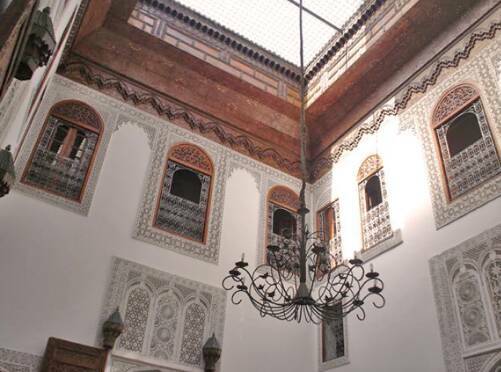 Extending over three levels, Borj Fez is a magnificent shopping mall in Fez. 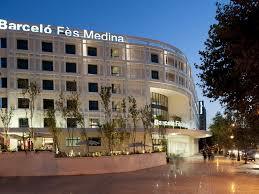 You can explore many of the shops housed in this mall to buy your desired items of leading European brands. Borj Fez also includes a hypermarket called Carrefour, a food court, and a playground for children. This enormous shopping mall also provides ample space for parking in its basement. To enjoy some splendid views of the city, take a hike to the summit of Mount Zalagh that overlooks Fez. Although this city appears to be quite complicated while exploring its old quarters, you would get to see its real beauty from the top of this mountain. 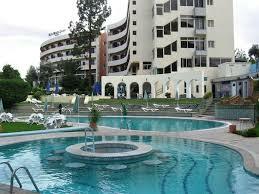 It is advisable to go during the daytime in the presence of a good weather. You can also get a little more adventurous and indulge in some mountain biking during your visit to Mount Zalagh. You can instantly feel relaxed when you get to The Rooftop, an elegant bar that offers marvellous views of the city and some soothing drinks under a starry night sky. Upon visiting this bar during a weekend, you would get to enjoy some exciting music spun by DJs and dance to the tunes of their thrilling numbers. If you are not in the mood to dance, simply grab your favourite drink and relax on the cushioned sofas. The best time to visit Fez is from October to April, as they are the cooler months and best suited for outdoor activities like sightseeing. Daytime temperatures around this time of the year rarely rise beyond the 30-Degree Celsius mark. You can have a wonderful time in this Moroccan city at lower costs with cheap holidays to Fez offered by Home and Away Holidays. 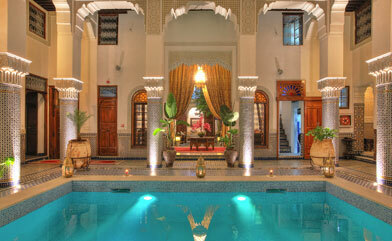 Let our holiday experts plan your Fez Holidays.